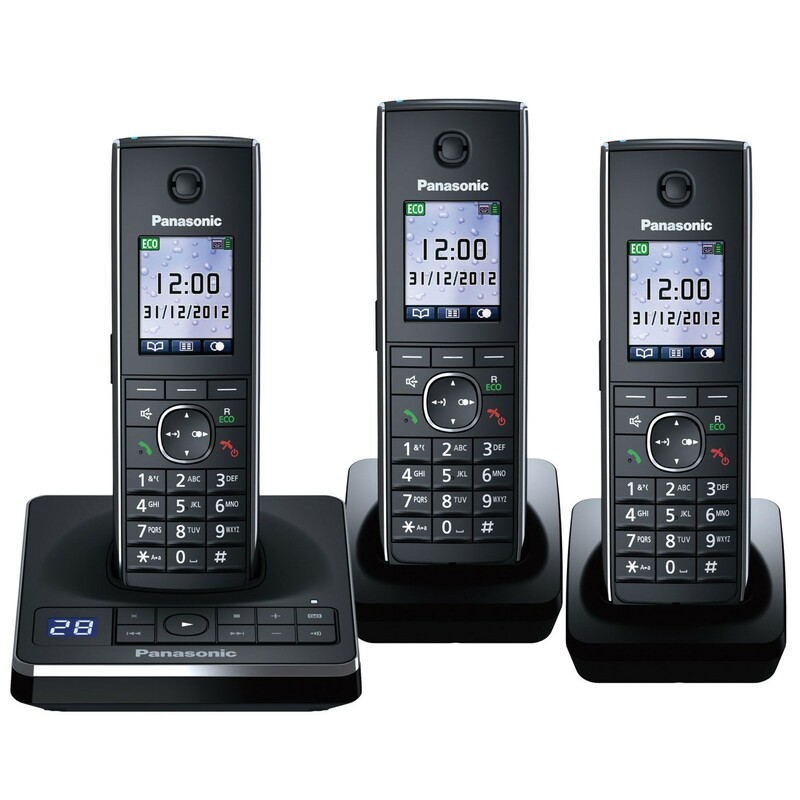 The Panasonic KX-TG8563 offers remarkable style and performance at an exceptional price for a set of three cordless phones. Manage calls efficiently and in style with the attractively designed handsets; each boasting a large clear 1.8” colour display and high-quality keypad, a range of intuitive DECT features, and a one-touch Eco mode. Call management is made easy with a 250 name and number phonebook, which is instantly shared among the handsets so you only ever need to update one. Once contacts are stored the handsets will offer traditional Caller ID and display details of a caller on-screen, and can also be activated for Talking Caller ID so the caller is verbally announced. You can also enjoy greater control over incoming and outgoing calls with the 8563, thanks to the intelligent call blocking and call restrict functions. And when you’re not there, the in-built answer machine will reliably take your calls for you and provides a generous 45 minutes of recording time for messages. Take calls in outstanding clarity thanks to the KX-TG8563’s high-precision error correction system that delivers crystal-clear and natural sounding conversations, free from echoes, interference, and distortions. You can even benefit from this clarity in hands-free mode via the integrated speakerphone or by connecting one of the handsets to a compatible headset. 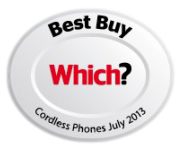 The features and sound quality of this high-spec cordless phone, saw the KX-TG 8563 awarded by Which? as one of their Best Buys. Panasonic are an excellent and reliable consumer brand. They're not always the best but they do win many awards each year and this relatively new phone might be another winner for the brand.